At Rescue Phone, we have combined everything we have learned over the past 35 years and built it into this compact, easy-to-use, affordable module. 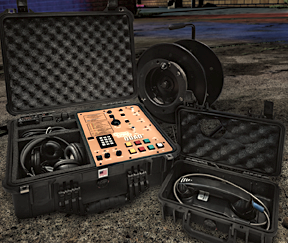 The QUAD handles all forms of telephone contact, digitally records the event and keeps command staff and SWAT personnel informed as to what is occurring in the barricaded area as it is happening. The QUAD is the base of our system, so our video systems and future innovations add to your QUAD rather than replace it.